Do you remember what you were doing in 1973? Some of you may not have been born. Others were in school or starting professional careers. For two runners in Madison, Wisconsin, 1973 marked the start of their new business. Movin’ Shoes, Madison’s first running store, was born 40 years ago this summer. Through six different locations, Movin’ Shoes has played an integral role in Madison’s running community. Roger Eischens and Herb Kimpel, the store’s founders, were two guys who just loved to run. More than being simply a mode of exercise, running for Eischens and Kimpel was fast becoming a lifestyle. This was a time when running was first becoming popular nationwide. Spurred on by Frank Shorter’s 1972 Olympic Marathon win and the publication of Nike founder Bill Bowerman’s book Jogging, the so called first running boom was just taking flight. Some of Eischens’ colleagues at the University of Wisconsin-Madison were conducting research on the effects of running and depression as well as running’s long-term effects on human physiology.In the early ‘70s, running shoes were hard to come by. Nike had not yet been born. Onitsuka Tiger (today’s Asics) running shoes did exist but were nearly impossible to find in the Midwest. Enter Eischens and Kimpel. Wanting running shoes for themselves as well as their friends, these two started a small business in a basement on State Street under the Wisconsin Student Association Store. The initial inventory of Movin’ Shoes was four pairs of shoes hanging on a peg board. Eischens and Kimpel staffed the “store” from 11 a.m. to 2 p.m. on Tuesdays and Thursdays. If you needed something and no one was there, a home phone number was posted. The first running shoes sold were Tiger Nylon and Leather Cortez. These were soon followed by Blue Ribbon Sports’ (Nike) Nylon and Leather Cortez. The cost of those first running shoes? About $15. While perhaps not following the best business model, Eischens and Kimpel certainly timed their venture well. Madison was becoming, and still is, a running hotbed. It did not take long for Movin’ Shoes to outgrow their basement peg board. The hours did not change much, but a move to a different, larger (and yes, another basement) location was necessitated by a growing selection of shoes and a few other running necessities, like shorts, socks and T-shirts. By 1977, Kimpel had grown tired of Madison’s winters. He sold his interest to current owner Karl Harter and left for Colorado. Kimpel partnered with Carl Brandt and founded Movin’ Shoes San Diego, although there was no formal business relationship. The three Movin’ Shoes San Diego stores were recently purchased by Olympians Meb Keflezghi and Bob Kennedy. Harter and Eishchens continued to gradually grow their business in Madison. They hired their first employee, Jody Alexander, and once again moved to bigger digs. Finally they got out of a basement and actually had a storefront. Harter brought a new energy to Movin’ Shoes. Originally from New Jersey, Harter was not only a runner but an author, a weightlifter and soon an excellent golfer. Eischens’ interest in the human body lead him to Iyangar Yoga as well as golf. Eischens frequently traveled to India to study and on occasion was accompanied by Harter. 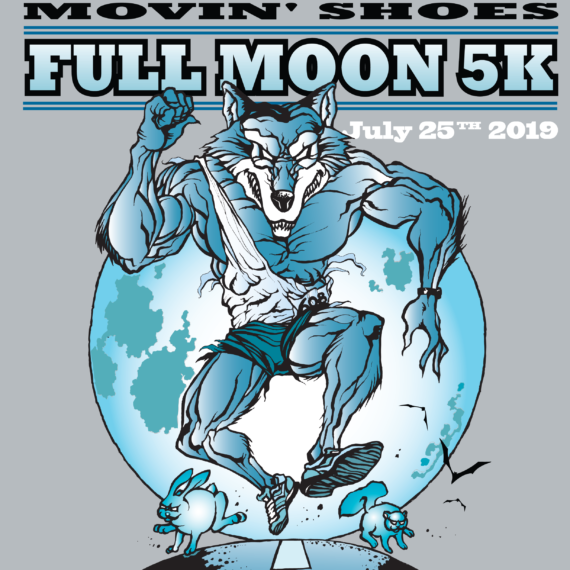 Throughout all this, Movin’ Shoes continued to serve the runners of Madison and the surrounding area. As more people joined Madison’s running community, the desire for organized events grew. Movin’ Shoes was once again on the forefront. The Vilas Running Club was established by a few of Harter’s and Eischens’ friends as a way of introducing running to children. Soon, supported by the store, the Vilas Running Club became the first group to organize races in the Madison area. While it may be hard to fathom, in the mid to late ‘70s there were very few races in the area. The Vilas Running Club had a group of race directors who took on one race per month from February to November. The original races, ranging from 5K to 20 miles (and including some odd distances like 15K and 12 miles), were soon joined by a June marathon, an October marathon and a November 50K. Movin’ Shoes provided equipment, support and manpower to help run these first Madison area races. The store was becoming a sort of clearinghouse for running information in the Madison area. As the years passed, the number of runners continued to grow (as did running shoe companies). Movin’ Shoes changed locations several times as the need for space to display new products (and to have a ceiling that didn’t leak) became pressing concerns. Throughout this growth, the store always kept runners in mind. New employees were hired and trained. Not every employee was an elite runner. However, several employees were trained exercise scientists with a sharp eye for running biomechanics. 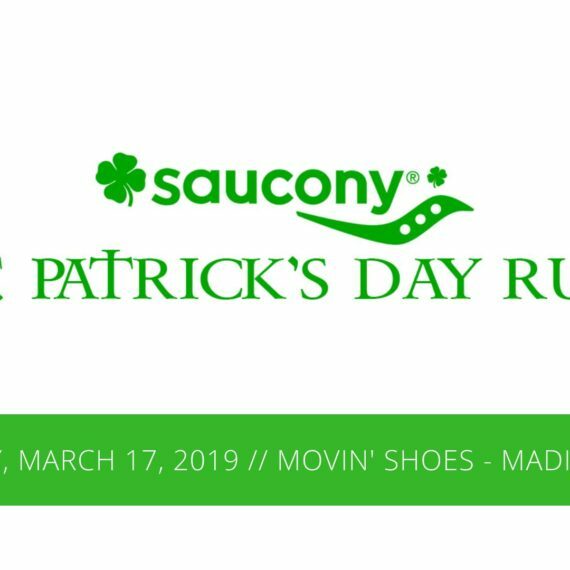 This not only helped Movin’ Shoes aid customers with proper shoe selection, but also helped the store maintain a selection of running shoes that were geared first toward runners and not towards advertising hype. By 1990, Harter had become the sole owner of Movin’ Shoes. While the store had changed locations a number of times, it remained in the same South Park Street neighborhood since moving out of that first basement on the UW campus. South Park Street was not a destination shopping area for many people in Madison. While not far from the UW, many of the old storefronts had closed. Harter had opportunities to move to what some felt might be more desirable locations. Yet Karl was committed to keeping Movin’ Shoes a viable business in that neighborhood. Currently South Park Street is undergoing something of a revival. There are new restaurants and new housing opening regularly. Harter designed and built a new storefront in a building that had stood vacant for years. Using a lot of recycled materials, the current location is an ideal launching spot for runners young and old. Harter estimates as many as 200 people have been employed by Movin’ Shoes over the year. Among those employees have been college students, professionals and retirees. Some of Madison’s best known runners have worked at Movin’ Shoes. I always got a kick out of seeing a high school runner’s eyes light up when he or she realized that the person helping them select their track or cross country shoes was none other than Olympian Matt Tegenkamp, or Canadian Olympian Simon Bairu or U.S. national record holder Chris Solinsky. Indeed, some of the top male and female runners in the U.S. have worked at the store. Harter has hired these folks to show customers that even the best of the best are regular down-to-earth people. They may be faster, but at the end of the day they are not all that different from the rest of us. The age of the current staff ranges from 23 to 65. There are elite runners, slow runners and some who are on the verge of becoming retired runners. What they have in common is a dedication to helping the area’s runners, in a friendly low-pressure environment, get equipment that works. The current location features a large mural with three runners each depicting a different era of Madison’s running history. The mural also includes the addresses and dates for all six Movin’ Shoes locations and each location is represented by a Bob Dylan song title. There are not too many of us who can remember each location or why each title is significant (maybe only two of us, actually). And another wall is covered with old photographs of national champs, Olympians and high school athletes from the area. If you are in Madison, stop by and wish Karl Harter a happy 40th anniversary. If you were once in Madison and frequented any of the Movin’ Shoes locales, drop him a note. Harter would love to hear from you. Not many small businesses can lay claim to a 40-year history. Movin’ Shoes has succeeded because they’ve had the right people in the right place working to help the community get better. It’s a cool place and a place that I love. Tom Kaufman, a Madison running institution in his own right, believes he started working at Movin’ Shoes in 1976. (“It was very part time, trading hours for merchandise.”) His association with the store continues and includes coaching an adult training group for the past 30 years.